My name is David C. Smith, aka PhotoSmithography. I am a semi-professional photographer located at the gateway to the Northern California Redwoods. 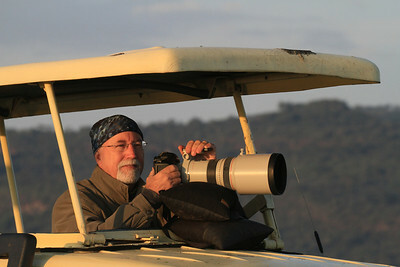 I have been doing photography since I purchased my first SLR, a Miranda Sensorex, while serving in Vietnam in 1967. Even though my photography took a back burner to family and my careers (Fire Fighter/Paramedic initially and Geotechnical Engineer ultimately) I never stopped taking pictures. I became very serious about my photography again when I purchased my first DSLR, a Canon 20D, in 2004. I attended the Tri-Community School of Photography in Southern California from 2006 through 2010 where I studied Studio Photography. In 2007 I built a studio in Southern California where I began doing studio PhotoSmithography. I primarily worked in my studio from 2007 through 2011 with the exception of a couple of trips to East Africa. In my studio I focused on helping models develop their portfolios. Since relocating to Northern California at the beginning of 2012 my primary focus has been on nature and wildlife. I no longer have a studio but I will continue to do people photography as the need or urge to do so arises. I now love traveling in search of beautiful locations and wildlife. I hope you enjoy my work. If you have any questions please feel free to contact me (see Contact Information in sidebar). Some of my work is available for purchase on this site or you can contact me if you wish.